Free Shipping Always to USA & Canada! In the wild, the predator marks its territory with urine and stalks its prey. 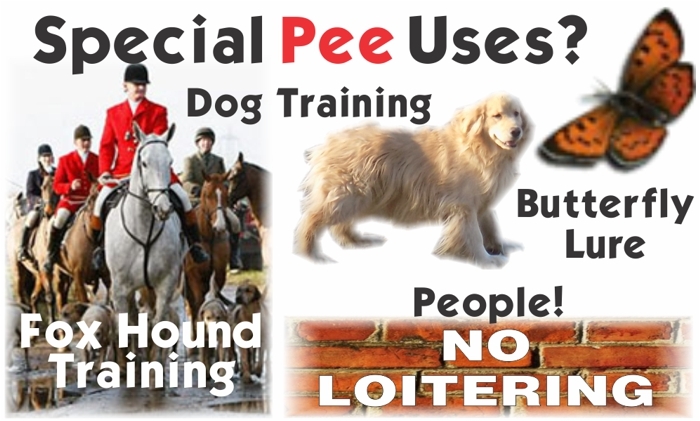 Animals like deer, mice, rats, skunk, squirrels and even suburban coyotes react to the scent of predator pee by seeking to avoid those predators at all costs. In this life and death game of hide and seek, the scent of predator urine triggers a powerful genetic fear reaction that says a predator is nearby. PredatorPee® 100% Natural Predator Urine puts that genetic response to work for you and keeps unwanted pest animals like coyotes, raccoons, deer, skunks, cats, porcupines etc. away from your home and out of your yard. It is nature's own natural animal repellent! 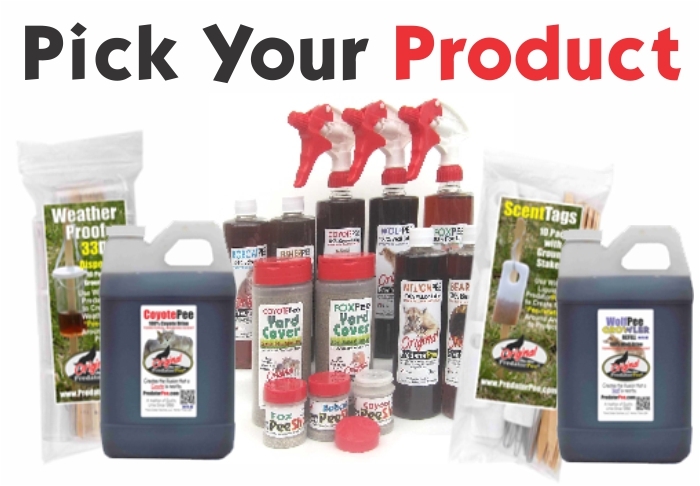 Use liquid PredatorPee® to create a "pee-rimeter" around plants, trees, shrubs, flowers etc that you would like to protect from deer, rabbits, wild pigs, squirrels etc. 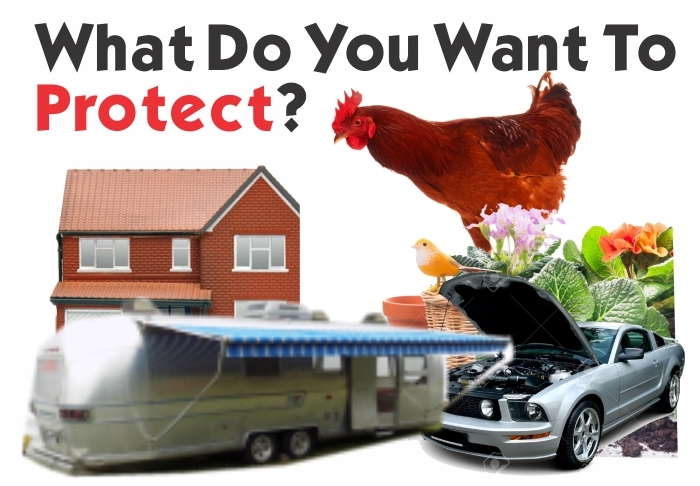 Use PredatorPee®-Shots to keep rodents and animals from entering, chewing or damaging your RV or other stored vehicle and to get rid of mice and rats from your home, basement, attic or garage. Use PredatorPee® YardCover Granules to stop burrowing and digging critters in gardens, lawns and container gardens. 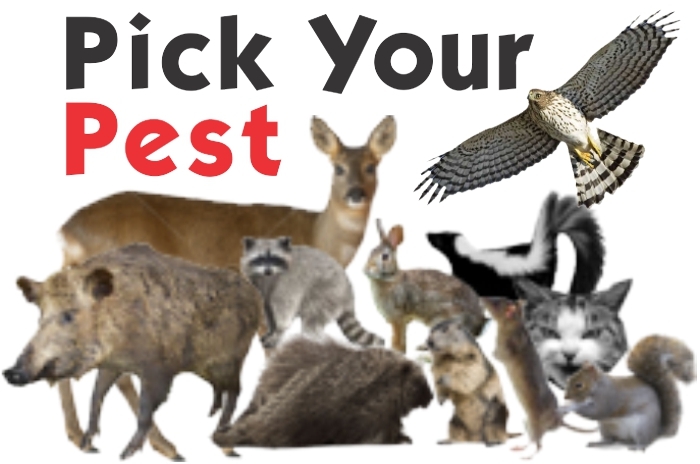 We have PredatorPee® animal repellent products for big and small outside areas plus PredatorPee®HawkStopper for Hawks, PredatorPee®Coy coyote decoys for geese and birds - plus PredatorPee®SnakeGuard for snakes ! You've Got Questions? - We've Got Answers!